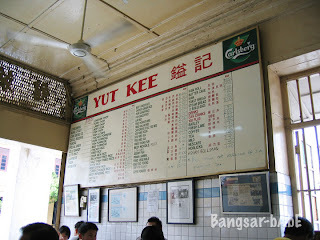 Last Saturday, rif and I decided to have lunch at Yut Kee. It’s been almost a year since I last ate here. 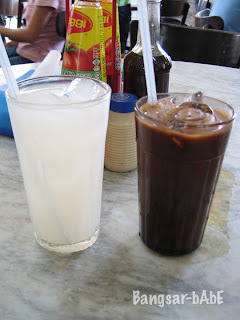 I had kopi-ais (RM1.10) and rif ordered barli ais (RM1.20). 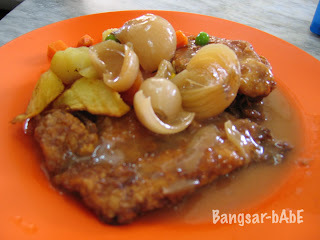 My Chicken Chop was as good as I remembered it to be. The chicken was fried until crispy with its juiciness retained inside. The gravy that came with it was a tad too diluted. I prefer it thicker and more tomato-ey. 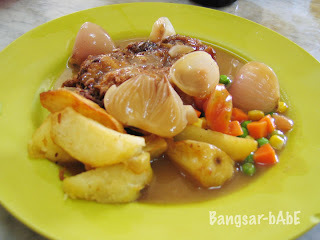 Nevertheless, I enjoyed mopping my potato wedges in the gravy. 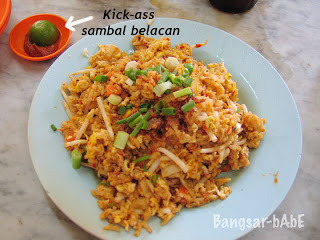 I was still feeling a bit peckish so rif ordered the Belacan Fried Rice for us to share. It was absolutely delicious! I loved the wok hei flavour in the rice, which was beautifully fried with fish cakes, eggs, beansprouts and carrots topped with freshly chopped spring onions. 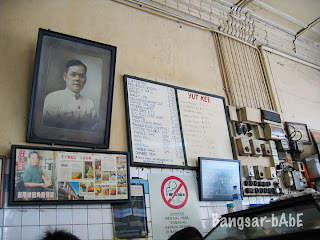 The sambal that came with it was L-E-T-H-A-L. 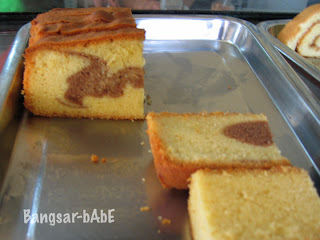 I completely underestimated it and ate a spoonful of it with a small spoon of rice. 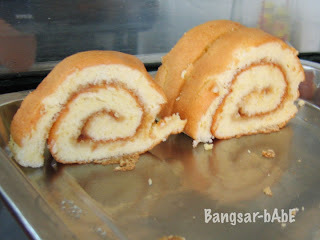 I had mixed ideas on their swiss roll.. To me, the texure was a little too hard and dry.. And the kaya is missing the creaminess due to lacked of eggs and pandan.. They did enjoy their publicity in the old days but too bad, their QC suffered from cost savings.